Margaret is living her best life—with a new MBA, an almost definite fabulous job offer, and her almost fiancé Chip—when things go terribly wrong. Like crash and burn, paraplegic wrong. Faced with her new, shocking life, Margaret goes between the expected emotions of grief, denial, depression, defiance. But she has a battery of enforcements, from the typical Mom and Dad (with some surprising baggage as it turns out) to her estranged sister to a physical therapist with issues of his own. 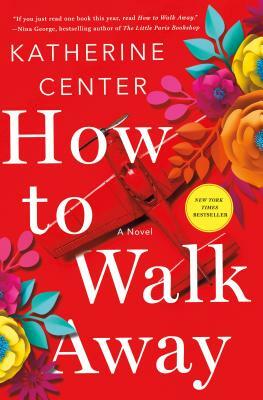 Katherine Center comes up with her best novel yet, with funny, snappy dialogue and a smart, sympathetic (but never pathetic) heroine. Think “Me Before You” with the fun and tenderness but without the sad thoughts! Highly recommended for a feel-good read.